I haven’t posted much lately. My excuse…I lost my voice and I still haven’t found it. Seriously though, I was lucky enough to go to both home games against the Braves. After screaming with excitement after every strikeout by Tim Lincecum in Game 1, there wasn’t much left in the vocal cord capabilities to get me through Game 2 but I made it through thanks to a late Thursday that consisted of Yogi Tea and some late night post writing for the Eastbay Blog. Tonight, I’m playing a little catch up, still riding the emotional high of the San Francisco Giants winning the NLDS! Woohoo! While I wish I could go on and on about the Giants in every post I put on Eastbay about how incredible this season has been for the team, and for me as a fan of pitching, I have to hold back. Tonight I decided to pay a little tribute to Bobby Cox with a post about entitled the Greatest Manager You Never Had, because as much as I tried to hate Bobby Cox through the early 90s, he represents everything I ever wanted in a manager, be it in sports or in a job. I admire his dedication to his players and to the betterment of the game, and hopefully someday will mean as much to others as he meant to his players. What I can’t help thinking about after tonight’s game, is how proud I am to be a Giants fan tonight. Yes, they made it to the NLCS, but this is more than that. It’s about the class act that this team really is. Amongst the celebration of what has to be the pinnacle of many of the players’ careers, they stop and give Bobby Cox a tip of the cap and round of applause. THAT is what will forever make the San Francisco Giants and the game of baseball so great. 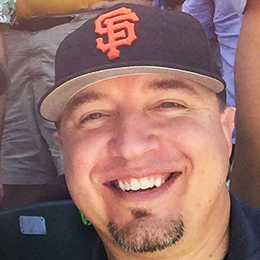 Of course if you follow me on Twitter or Facebook, you already know that the class act is a regular thing for the Giants and they are constantly grateful to the game and to their fans, more so than almost any other team. 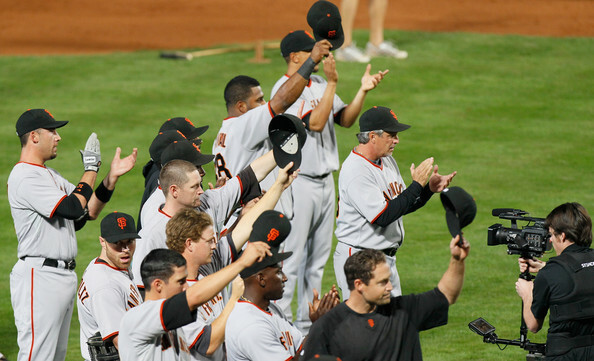 First it was circling the track at AT&T Park high fiving fans to celebrate their entry into the 2010 MLB Playoffs and now taking time to honor a legendary manager in the midst of a victory celebration. Of course, I also love the fact that in a matter of just a few days, as pointed out by Andrew Baggarly in Monday’s Postgame Notes from his Extra Baggs column, Tim Lincecum has unleashed a trifecta of F-bombs that made their way into mainstream media that remind us all how much fun this team is having. I can’t say it as eloquently as Timmy seems to but we’re in the NLCS! F*ck Yeah!!! When Ken Griffey Jr. decided to hang up the cleats earlier this season, I think a little part of every baseball fan, every sneakerhead, and every fan of sports in general, must have shed a tear. I know for me “The Kid” was more than just another Major Leaguer for me. He was all that was cool in the early 90’s, wearing his hat backwards, robbing opponents of home runs, and blasting more than his share of his own round-trippers. The baseball cards, the shoes, the off the field cool. Griffey was bigger to baseball than most will ever know, especially in a time that included a player strike, Griffey was one of the only positives in an era of negativity. Griffey may have decided to let go of the game, but this is one player that the game will never let go of. In the era of questionable suspects, and performance enhancing drugs, Griffey let his game speak for itself. Over the years players fell off, were accused of cheating, convicted, and fell from stardom, Junior simply kept doing his thing. With arguably one of the most perfect (and recognizable) swings the game has ever seen, he finished up his career with 630 home runs, but I will never forget the very first televised home run contest in 1993. Junior with his hat backward going extra pitches to decide the champion. Griffey may have come up one short for that event some 17 years ago, but like this new commercial below clarifies, he won’t be coming up short when it’s time for him to join the league’s elite in Cooperstown in a few years. 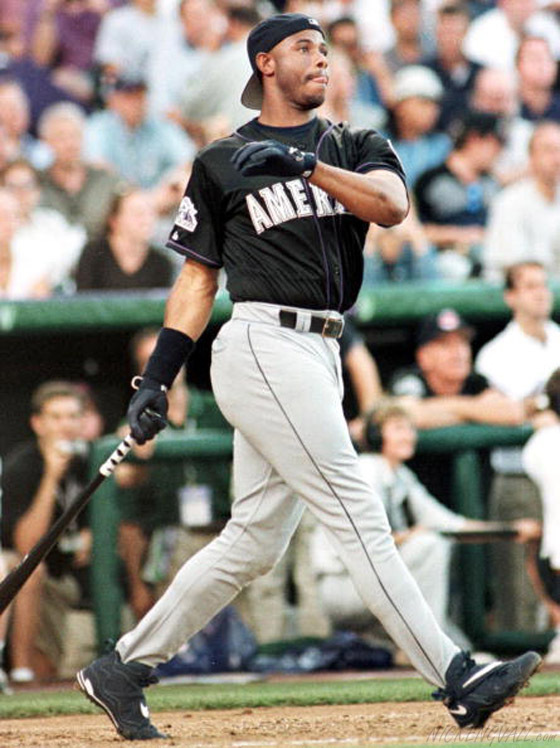 Although I am not the biggest fan of the Griffey Max III, I prefer the Griffey Max 1, this is another unforgettable shot of Junior from the 1998 Home RUn Derby at Coors Field in Denver, I lived in Colorado at the time and will never forget Griffey winning the Home Run Derby that year. Hopefully Junior will share his passion for the game, and skills with future baseball players as a coach of some kind, but for now, I hope he enjoys his well deserved rest. Thanks for the memories Junior! 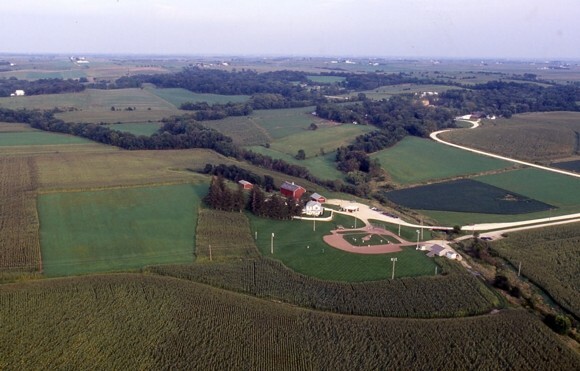 One of my favorite movies of all time is Field of Dreams. Being a kid and a baseball fan, it was easy to love the movie as soon as I saw the preview. I remember watching the movie dozens of times as a kid, and still to this day when it comes on TV, I can’t seem to get myself to change the channel away from it. Seeing it for sale again makes me miss those days without a care in the world other than to get done with school and play catch with my brothers. Hard to believe it’s been over twenty years.